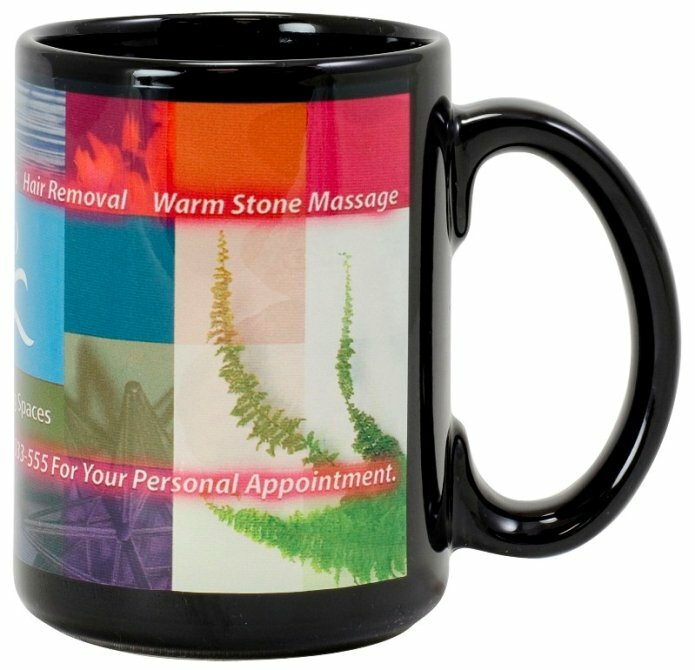 There is something about a large Black custom coffee mug with your logo. Overall size of this 4CP printed large mug is 5 high x 3 1/4 diameter. Price includes 4CP imprint on both sides in area 3" w x 4" h.
Full wrap imprint centered opposite the handle 9" w x 4" h.
Factory setup charge is only $50.00 & no extra setups. I own a construction business, wanted a black mug with our new logo that marketing had made. I found exactly what I was looking for in the big, hefty well made coffee mug. The price was right, prospects and customers like them too. I will be back again.